Romano Fenati Issues Apology—The Italian Moto2 rider Romano Fenati has issued an apology for his conduct in the San Marino Moto2 Grand Prix. Fenati has issued an apology, but it might be too late to save his career. Moto2 rider Romano Fenati has issued an apology for his conduct in the 2018 San Marino Moto2 event, where he reached out and grabbed the front brake lever of rival Stefano Manzi in during a heated race battle. 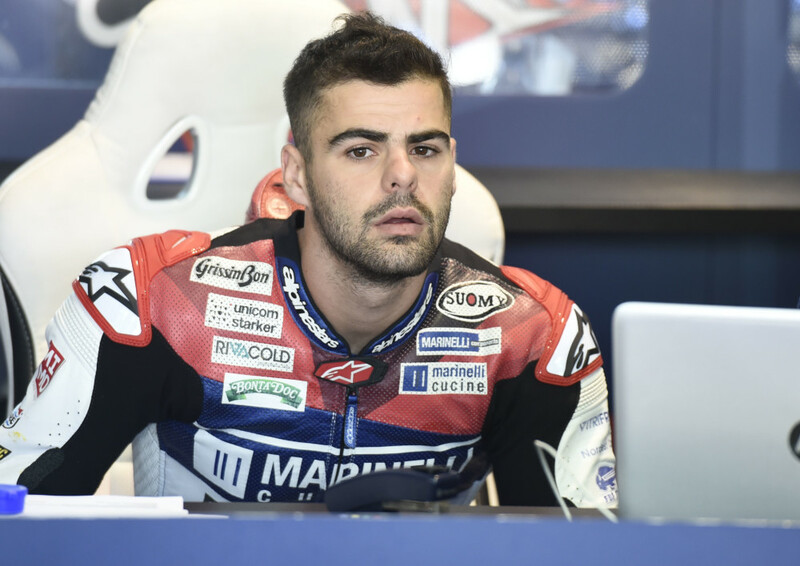 Fenati has been banned from racing for two races, however, the long-term effects of his behavior are far more series, with the termination of his current contract with the Marinelli Snipers team and the termination of his contract with the returning MV Agusta factory team for the 2019 season. “I apologize to the world of sport. “This morning, with a lucid mind, I wish it had just been a bad dream. “I think about and think back to those moments, I made a disgraceful gesture, I was not a man! “A man would have finished the race and then he would have gone to Race Direction to try and get some justice for the preceding incident. “I shouldn’t have reacted to provocation. “The criticisms are correct and I understand the animosity towards me. “I want to apologize to everyone who believed in me and all those who felt hurt by my action. “A horrible image of me and of the sport has come out. “I’m not like that, people who know me well know that! “In my career, I’ve always been a just rider. Last year I was one of the few who was not penalized, I have never put someone else’s life in jeopardy, on the contrary, I have always maintained that there are riders on the track who are dangerous because of their riding style. “It’s true, unfortunately, I have an impulsive character, but my intention was certainly not to hurt a rider like me rather I wanted to make him understand that what he was doing was dangerous and how I could also have done something similar to what he did to me! “I do not want to justify myself, I know that my actions were not justifiable, I just want to apologize to everyone.